Have nothing to do on a Friday night in February? 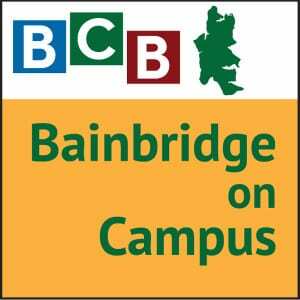 Come on down to the Bainbridge High School where the two High School Jazz bands will be performing in their annual community Swing Dance! 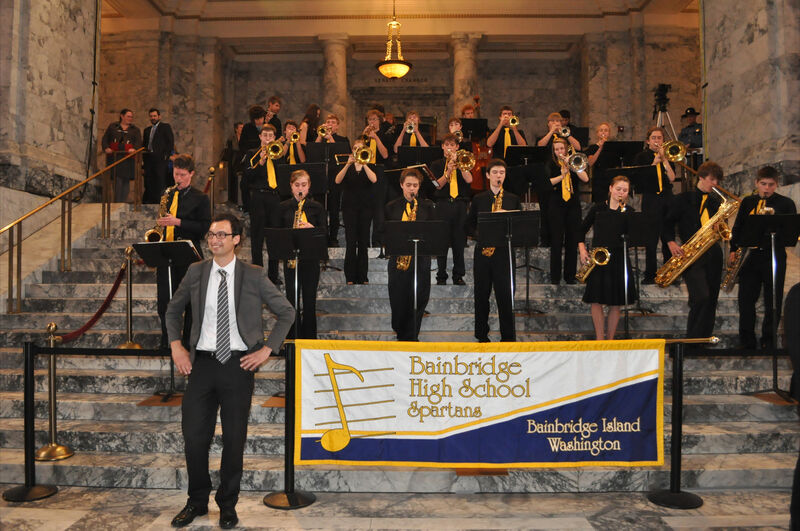 In this episode of Bainbridge on Campus, Finn Mander interviews the Bainbridge High School band director, Chris Thomas about the upcoming Swing Dance. To name a few points of their conversation, they discuss the origination of the classic Swing Dance, which has been around far longer than most of us can remember, as well as dance styles associated with the two High School Jazz bands. You will also have the opportunity to listen to one of this year’s Jazz bands! 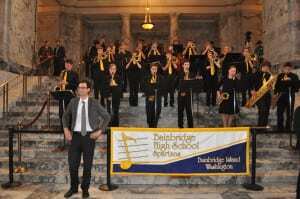 The High School Jazz band has had a very successful history over the past few years, including being asked to play at Governor Jay Inslee’s inauguration in 2013, and winning prestigious awards in local Jazz competitions such as the one they visited recently at the University of Washington where they placed third in finals. You’re in for a treat on Friday night (February 13th), so make sure you pick up tickets at www.bainbridgebands.org, or purchase a ticket for $15.00 at the entrance to the High School commons at 7:00PM. While you’re at it, don’t worry about your hunger or thirst as refreshments will be provided! All proceeds will benefit the band program.